Back in 2013 when I went to #DPCON13 I was fortunate enough to meet lots of wonderful people. One of these wonderful people said something to me that has stuck in my head ever since. She told me how reading my blog made her feel happy. In her darkest days when she was feeling blue she would pop over and have a read of what I had to say because my positivity picked her up. My heart filled with so much joy then that my eyes started to leak a little. I had no idea that my words could make such a difference to people, especially people I thought so highly of. Recently I have felt less than positive. The reasons for that are many and varied and mostly elusive to me at the moment. By all accounts I should currently be a shimmering ray of positivity light. You know given that I am on #ouradventureofalifetime and all. Apart from the fact that is has been put on pause. Though all of this is a discussion for another day. Because today I want to share with you a woman who despite the bleakest of possibilities is still a shining tower of positivity and H.O.P.E. (Have Only Positive Expectations). Jennifer Fitzgibbins is a 29 year old mother to four who within the last month has had her entire world turned upside down. Doctors have given her three to six months left to live as her body has been invaded by aggressive cancers. Rather than just roll over and let those precious months slip by Jennifer is determined to show cancer who is boss and refuses to go down without a fight. She is determined to do everything she can to prove the doctors and statistics wrong. A feat that she has already mastered once before. In September 2010 as a young mum of two, she was diagnosed with aggressive breast cancer. 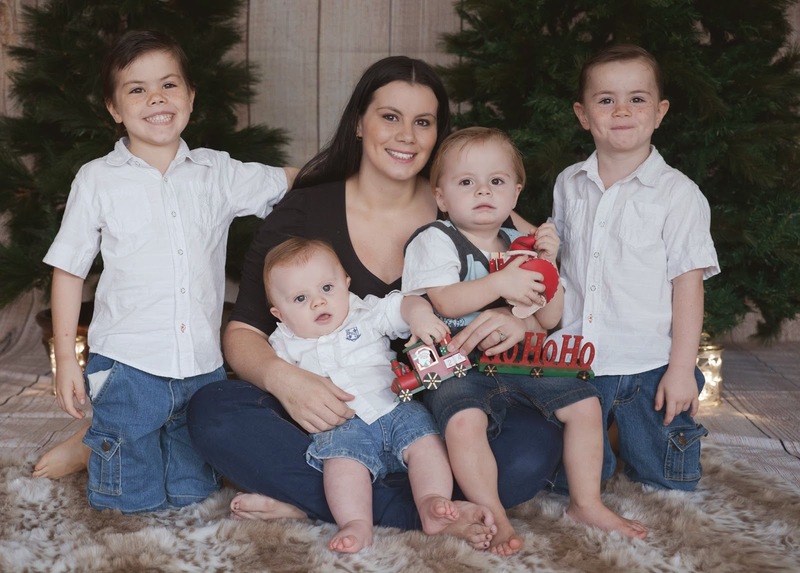 After a double mastectomy, chemotherapy, radiation and reconstructive surgeries Jennifer was only given a less than two percent chance of ever having more children. In 2012 she gave birth to her third son and earlier this year welcomed her fourth. A Canadian by birth Jennifer travelled to Australia in 2005 where she met and fell in love with her now husband Scott. The family have recently gone on a holiday to Jennifer’s home town so that Jennifer has the opportunity to show them where she grew up and experience the boys’ first time in the snow with them. Jennifer will also receive further radiation treatment with the extra support of her extended family. To help raise funds and show support for the Fitzgibbins family a Facebook group has been established. They are currently aiming to reach 1000 members so please pop on over and say hi. As much as old Facebook can get a bad rap at times it does have an amazing ability to rally troops and make people feel loved and supported. If you are in a position to donate money you can do so here.